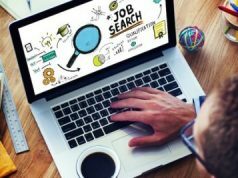 "Those Struggling With Job Search Should Opt For The AMCAT Exam"
The AMCAT exam has paved the way for many candidates to prove themselves. Time and again it has given many candidates the opportunity to prove themselves and get the job best suited to their abilities. 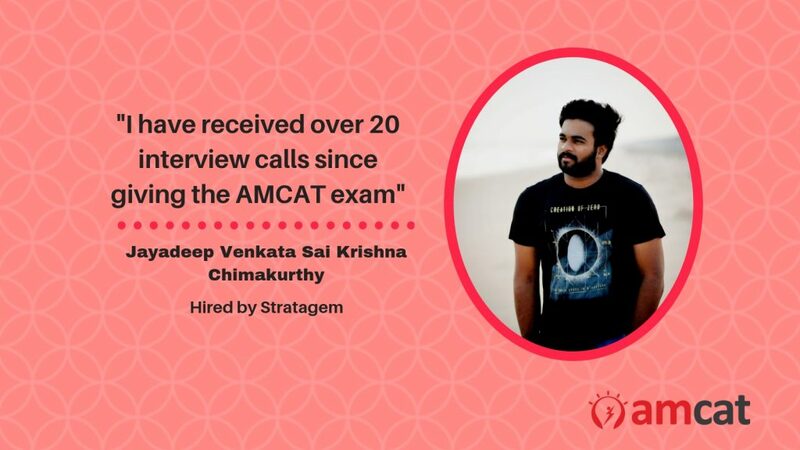 One such candidate, who proves that job search can be easier to tackle if you have the AMCAT exam to rely on, is Jayadeep Venkata Sai Krishna Chimakurthy. Jayadeep says that he had always been very particular about the kind of jobs. He knew that he did not want just any job that paid well but a job that would help him develop his skills and grow. He also wanted to be able to utilise his existing skills and keep adding on it through his career. Though Jayadeep did not face any challenges in his job search journey, he did not come across any opportunity that he would think was right for me. And, that is when he opted for the AMCAT exam. I chose the AMCAT exam because it has a wide range of opportunities from where I can easily find the job I need. Jayadeep says that he has received over 20 interview calls since giving the AMCAT exam and he is getting more job offers by the day. As for interview preparation tips, Jayadeep believes that people should concentrate on general aptitude and use their common sense to formulate the answers. He adds that people should not believe or blame luck but instead focus on the basics to succeed. 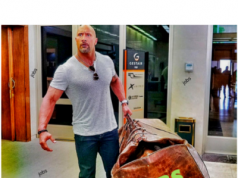 How much you focus on the basics and how confident you are can be the key to determining how you do in the job interview and how much the interviewer likes you. Most of my friends are struggling with finding good jobs. I feel this (the AMCAT exam) would help them a lot. So, what’s the waiting for?! Schedule your amcat exam today, and get set to start your professional life on a high note.